Telescoping Rod & Reel Set is great for beginners and avid anglers alike. 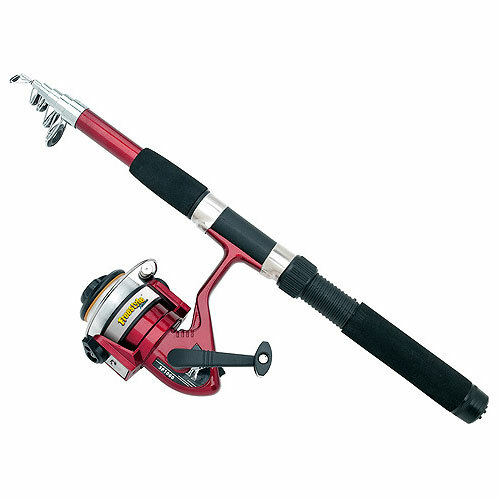 Rod extends from 15 inches to almost 6 feet.Reel and line included. Line is fed through guides on every section. Lightweight with comfortable foam grips. Design allows you to easily change to your favorite spinning reel if wanted. Great for beginners and avid anglers alike.